We hear about ACL injuries and ACL surgery all the time in professional sports. Robert Griffin III and Derrick Rose immediately come to mind. We don’t think of them as common soccer injuries as often – at least not in the United States. Anyone who plays soccer or has high school or college children who play, though, is surely aware of these injuries. Anterior cruciate ligament tears are among the most common and severe injuries of the lower extremity in soccer. A study of elite European soccer shows that a professional team can expect 0.4 ACL injuries among its players per season, or just under one player on the team going down every two years. And ACL tears are even more common among female athletes. I remember one girls’ soccer team in the Charleston area losing five players to ACL tears in one season. Fortunately ACL reconstruction will help these players regain stable knees. In fact, in the past, orthopedic surgeons have often quoted success rates of 90% or higher with ACL surgery. So soccer players are pretty much guaranteed to return to soccer, right? Maybe not. A study in the November 2012 issue of the American Journal of Sports Medicine examines the rates of return to play after ACL surgery. Specifically they look at soccer players and identify risk factors that could indicate risks for reinjury or never playing soccer after the injury at all. Robert H Brophy, M.D. et al contacted soccer players included in the Multicenter Orthopaedic Outcomes Network (MOON) Group. This is a database of patients who have undergone ACL reconstruction by surgeons at centers across the country. They found that only 72% of soccer players returned to play soccer after ACL surgery. Of the athletes who do make it back to soccer, return occurred at an average of 12.2 months after surgery. 85% of players who did return eventually got back to the same or higher level of soccer. Male soccer players were more likely to return to play than female athletes. Younger soccer players were more likely to return to play than older ones. 12% of soccer players underwent a second ACL surgery. 75% of the second ACL procedures were performed on the athlete’s opposite, or contralateral, knee. 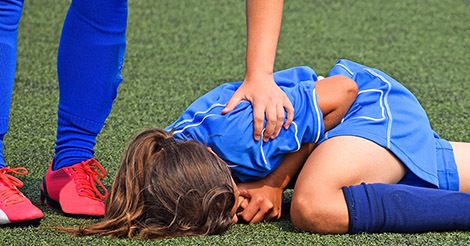 Female soccer players were more likely to require a subsequent ACL surgery. Athletes who tore their nondominant leg’s ACL in the first injury were much more likely than those who injured their dominant leg to require ACL reconstruction of the contralateral leg in the future. First, the finding that only 72% of soccer players make a successful return to play is lower than I think most orthopedic surgeons and soccer players would like to see. This data does corroborate the findings of the study looking at return to sports among college football players who underwent ACL reconstruction, though. Also, younger and male soccer players are more likely to return to play. The ACL injury and surgery themselves might serve as the main barrier to return to soccer, but other factors like graduation from school, loss of desire to play, and more might play a role. Even fear of reinjury could keep athletes from returning to soccer. Regardless, the lower success among females seems surprising, at least to me. Finally, we have discussed the importance of ACL injury prevention programs in the past. This study shows a high recurrence rate, especially in females and for injuries of the nondominant leg. Any soccer player who undergoes ACL reconstruction should consider learning and regularly performing the exercises of one of the injury prevention programs to decrease the chance of reinjury of the graft or opposite knee’s ACL. Brophy RH, Schmitz L, Wright RW, Dunn WR, Parker RD, Andrish JT, McCarty EC, Spindler KP. Return to Play and Future ACL Injury Risk After ACL Reconstruction in Soccer Athletes From the Multicenter Orthopaedic Outcomes Network (MOON) Group. Am J Sports Med. 2012;40:2517-22. Walden M, Hagglund M, Magnusson H, Ekstrand J. Anterior cruciate ligament injury in elite football: a prospective three-cohort study. Knee Surg Sports Traumatol Arthrosc. 2011;19:11-19.